Gore-Tex® jackets are arguably the best on the market when it comes to weather resistance and performance in sports. Rain protection, snow protection, windproof and considerably breathable, this fabric technology is always the suggestion anywhere you look online. Even when compared to other fabric technologies of similar ratings and even similar composition, such as eVent, Gore-Tex performs like no other. 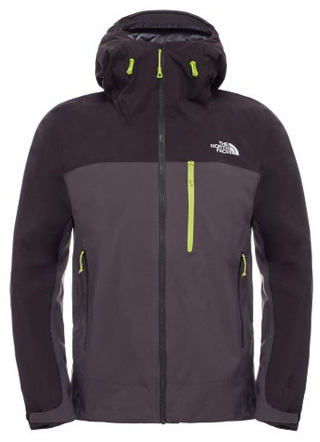 Albeit, not the most breathable option out there, it is still one of the best choices for outdoor performance jackets. If you are interested to see how Gore-Tex compares to other fabrics and fabric technologies, there are several such reviews on our site. 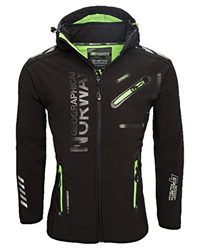 Today we will go through the necessary steps of cleaning and caring for a Gore-Tex jacket. First, let’s take a look at what exactly is Gore-Tex itself and then get right into the guide. 2. Why Is Gore-Tex Used? 3. Why Is Proper Cleaning So Important? and lastly, a membrane, because of the billions of micro pores on the surface of the ePTFE, which help with breathability, while also preventing water drops from getting through. ePTFE is a material with incredible durability and great weather-resistance, which is clearly evident with any garment that is made of Gore-Tex. Why is all of this important? Well, we find learning about how a jacket is made as a good first step in understanding how to best care for it. We mentioned that it is a fabric technology that provides the best weather protection available, which is the main reason for it being used. As we also mentioned previously, Gore-Tex is extremely durable, and as such it is one of the few fabrics out there that does not really mind being outdoors for hours (even days!) on end, in rough terrains and harsh conditions. Jackets made of Gore-Tex are fully waterproof, as well as water-repellent due to the shell being treated with DWR (durable water-repellent) finish, and also completely windproof. All of these are qualities of ePTFE itself, which then are reinforced due to the design of the jacket and the fabrics used as part of the laminate system. Well, so far we have mentioned several features and qualities of Gore-Tex, which may have left you a bit worried as to the level of care and maintenance your Gore-Tex jacket will require. The good news first, these jackets are very easy to care for so you have nothing to worry about. Bad news is that you really do have to learn the correct way of cleaning them, for a couple of reasons. 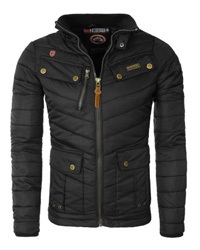 First, weather resistance is a given with Gore-Tex, however, as all jackets are wont to do, after a long time in the rain, any jacket will “wet out”. The fabric will start to become saturated and eventually leak. Gore-Tex provides the advantage of being a very difficult fabric to saturate with water, and one of the reasons for this is its DWR finish. If you are unfamiliar with DWR coatings, these are certain substances that, when applied to the fabric of the jacket, will form a protective barrier that causes water to roll off the surface of the fabric rather than pool on it. However, a DWR coating eventually wears out and a re-application is necessary to provide full protection in bad weather. Because of that, you need to learn not only how to wash a Gore-Tex jacket in order to keep it clean, but also how to prevent the DWR coating from washing off too soon. 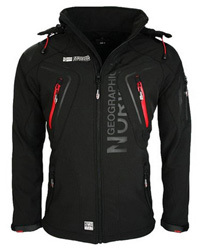 And secondly, Gore-Tex jacket are not cheap. 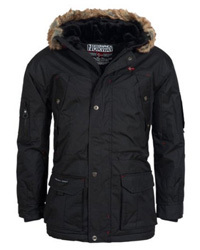 In fact, they are the most expensive ones as compared to jackets of similar build and purpose. But when you consider the fact that you will possibly never have to re-buy a Gore-Tex, since they last so long, it justifies the price to an extent. 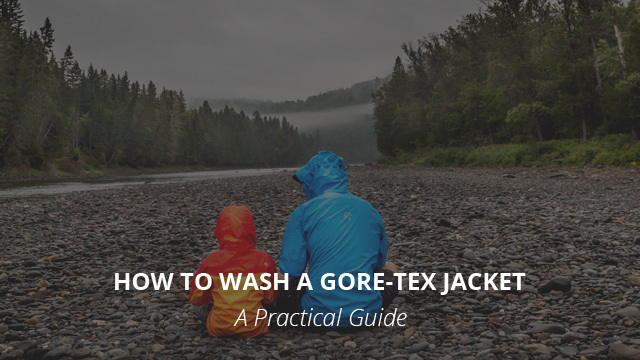 With all that said and done, let’s learn the proper steps for cleaning, washing and caring for a Gore-Tex jacket. Checking the label is always, and we cannot stress this enough, always the first step. Despite of what you find online, tips, tricks, guides and what not, the care label on the jacket will point you in the right direction. There is a reason they are there, so refer to them first. With some jackets, such as fleece ones, it’s sometimes necessary to turn them inside out in order to prevent pilling or other damage to the outer fabric, but you don’t have to do that with a Gore-Tex jacket. What you must do, however, is close all pockets, zip the main closure and secure all straps, flaps and zipper toggles in place. The reason for doing so is that open zippers might grab onto the fabric and risk tearing it. Toggles, straps and flaps might get damaged or do damage to the fabric, so it’s always smart to fasten everything beforehand. As a last step, remove any dirt or large stain with a damp cloth and you are good to go. Gore-Tex jackets can be washed in the washing machine so there is really no need to wash them by hand, unless you have to (or really want to). Dry cleaning is not really recommended, because of the solvents they use, which can possibly damage the jacket. A specialized detergent would be ideal, as it is formulated to thoroughly clean Gore-Tex fabrics, while being quite gentle at the same time. There are several specialized detergents you can use, however, if there are none available or you’d rather not go through the hassle, a gentle liquid detergent is the recommended choice. Powder detergents are quite harsh and they have a tendency to gather on the fabric, which, in the case of DWR-treated jackets is a no-go, as it will strip the coating away. Water temperature should be set as per the care label recommendation, but if the label provides no such information, then the lowest temperature is always the best bet. In case you were wondering about bleach, chlorine bleach must not be used as it will damage not solely the DWR finish but the fabric itself, as well. The same goes for fabric softener. With your jacket washed and now ready to dry, for best results, check with the care label to see if it recommends using a tumble dryer. 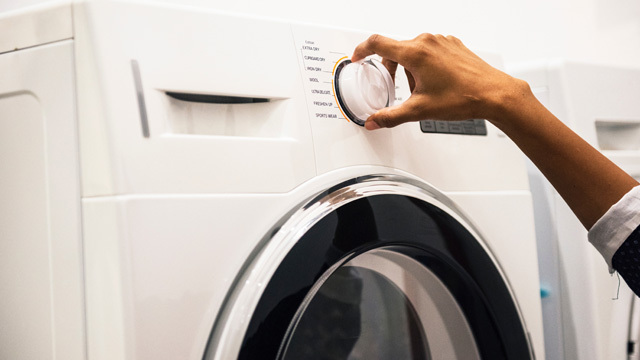 The lowest temperature and gentlest setting is the rule of thumb if you do intend on using a dryer. If not, then air drying will get the job done just fine. There is an additional step here, which is that of using a tumble dryer after the jacket has dried. This is done to reactivate the water-repellent coating. However, if you do not have a tumble dryer at home, or would just rather not use one, then you can iron your jacket in order to reactivate the DWR coating. Do so at the lowest temperature and gentlest setting so that you don’t damage the fabric. After that, your jacket is good to go. After a certain number of washes, the DWR coating will start to wash away and leave you prone to getting wet when it rains. No, the jacket is not ruined, because as we mentioned before, you can easily redo the treatment yourself. There are a number of DWR treatments you can use, here are some recommendations. As for how to apply them, depending on the type of DWR coating you will be using, the method varies. The link above will take to an in-depth guide on how to best apply DWR treatments, so we would highly suggest that you check with that for best results. And there you have it, the very simple process of washing a Gore-Tex jacket and keeping it looking and performing like new for a long time. As a conclusion, here are some instructions from the official website for washing Gore-Tex products in general.